We understand the importance of matching expertise, culture, and personality for our clients and the candidates we represent. 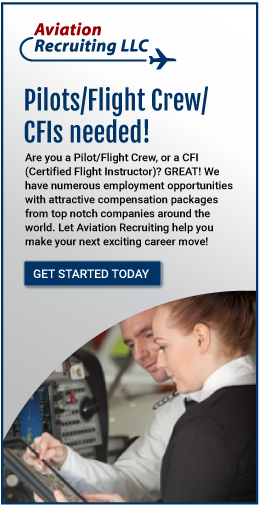 DISCLAIMER: Aviation Recruiting is an Equal Opportunity Employer and Recruiting Agency. It is our policy, from recruitment through employment to provide equal opportunity at all times without regard to age, race, creed, color, national origin, gender, disability, marital status, or sexual orientation. © 2019 All Rights Reserved. Website Design & Development by Pippin Design.